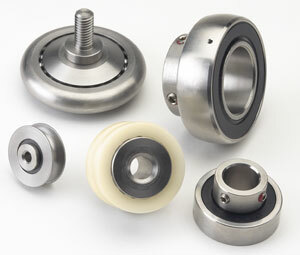 Stainless steel bearings can work well under such enviroment where is moisture, corrosive and abrasive. They are widely used for food and beverage processing machinery, medical appliances and medicine equipments. Typical applications: electric motors, automotive applications, home appliances, industrial equipment. We can provide the stainless steel bearing in different sizes and types to you.They are Stainless steel deep groove ball bearings,Stainless steel pillow blocks,Stainless steel angular contact ball bearings,Stainless steel needle roller bearings,Stainless steel drawn cup needle bearings and so on.